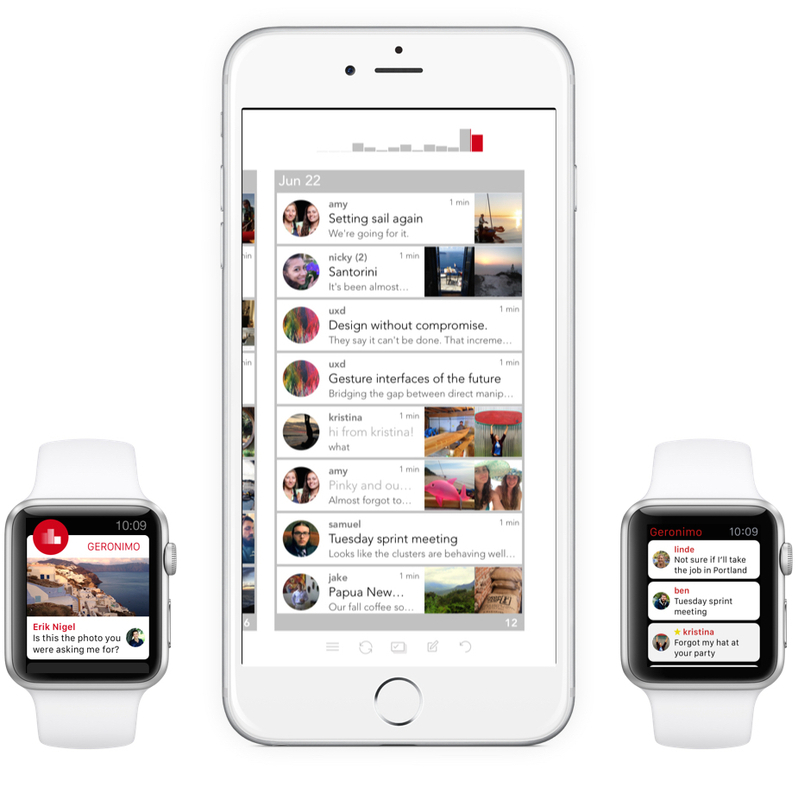 Offering a fresh experience for managing your inbox is Geronimo, available for iPhone and Apple Watch. 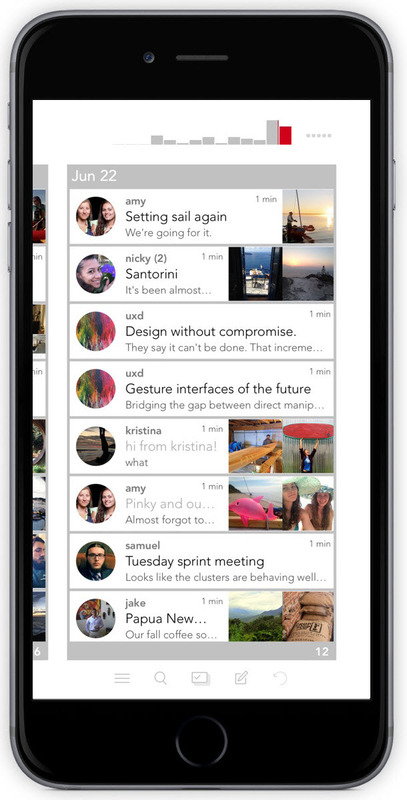 Released today, August 27, Germino takes efficient ways of organizing your messages to the next level. 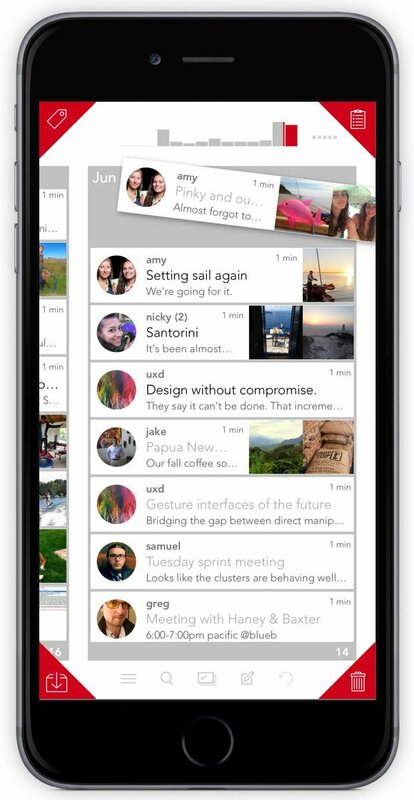 Emails in a timeline, gesture-based actions, annotations of photos, and “Hot Corners” for quick movements are only the beginning. Germino has employed a unique concept with the inbox where your messages are displayed in a timeline. So, you can quickly see all of your messages for a given day. Each day on the timeline is collapsible by tapping the header. There is also a handy graph at the top showing the amount of emails for each day. One of the coolest features of Geronimo is the ability to manage your messages with gestures and motions. First, you have Hot Corners allowing you to flick your emails to invoke actions. For example, you can have a Hot Corner to Star your messages and then just tap and toss the email to that corner. 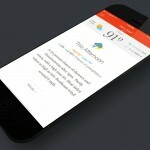 Next, you have interactive motions that really do make sense on a mobile device. Just tilt your device up and down to move through your emails for the day. Then, you have a way to select multiple emails and pile them together for an action. Select the check mark icon, pick your emails, and then toss that entire pile to a Hot Corner. Geronimo provides a really sleek design and the actions available can make organizing your inbox more efficient. Viewing messages in a timeline per day is nice, as is having emails separated by robot versus human. It did take me a little while to catch on to all of the gestures, however, the app includes some good, short tutorials to help you get started. The app also looks great on the Apple Watch. 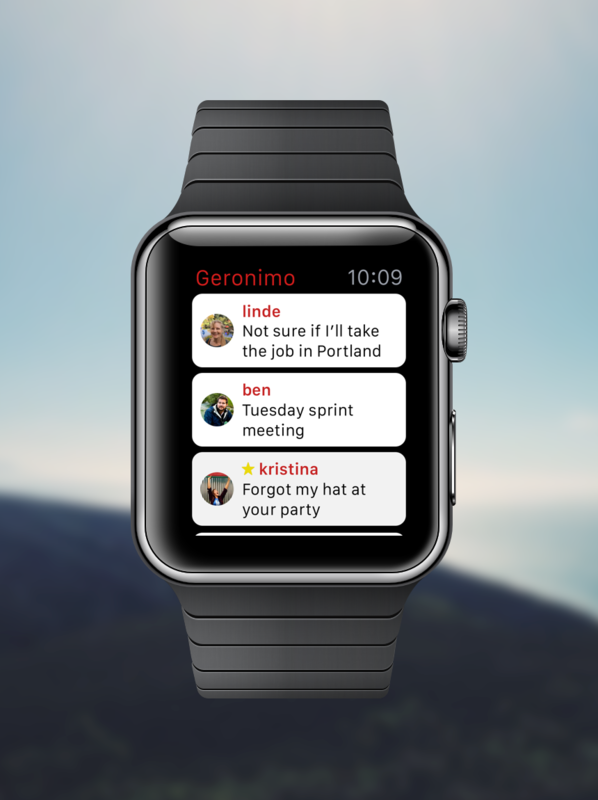 Geronimo is available for iPhone and Apple Watch on the App Store for free. In other news today, Apple is bringing Watch-style ‘Motion’ wallpapers to its ‘iPhone 6s’ and Who says adults shouldn’t color too? 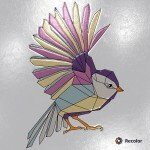 Recolor encourages it.